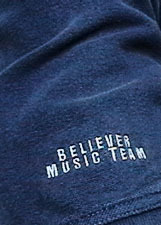 Believer Music is always on the lookout for energetic individuals who seeks to partner with a committed, professional team. If you're an aspiring professional who seeks a meaningful career whilst working for a cause, send your resume to Jobs@BelieverMusic.com. Your resume must include a recent photo. Only shortlisted candidates will be contacted for an intervew.